99Flats brings Residencies, Residents, Builders, Businesses close to each other, to help one another, facilitate services together on only one platform. Individually any Residency or a multi-storeyed flats complex, essentially do not provide internet presence as it would expensive and not worthy for few flat owners or tenants or residents. It is also expensive both investment wise as well as in maintaining the website and updating the data constantly. 99Flats provides this facility for all the residential complexes with several advantages. Builders can provide their credentials more appropriately through 99Flats as each complex that they have built speakes for itself and thereby giving more reputation and recognition for themselves. As more and more flats are cropping up daily, more people are also working from home, but the flat culture generally does not provide any information about your very neighbour or a potential needy resident in the same complex. 99Flats provides the feature to present yourself as a part time service provider to your own neighbour, thereby giving a deserving person a good service otherwise would have been very difficult finding such a service. Any multi-storeyed residential complexes or gated communities or buildings which are other-wise termed as flats are generally termed as Residencies. Many residencies are a composition of several 1, 2 or 3 bedroom flats with a carpet area ranging from 600 sq.ft to 1800 sq.ft respectively. 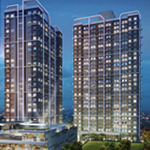 Each such residential complex could comprise of 6 to 40 or even above 60 flats. Now-a-days the government has relaxed the conditions and is permitting the residential associations to construct more than 3-4 floors. Some residential complexes have secured permissions to build even 15-60 floors depending the total area. Since most of the residential complexes have to have a registered flats association, the responsibility can be entrusted to its association members. 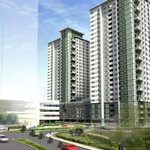 It is the association that completes the registration process of its residential complex with 99Flats. After completing the registration process, the assoication contact person would get the user ID details for login. With this user ID the association can now give all the information of its residential complex. There are several things the association can make use of the system. Authorized Association member enters the Number of 1, 2, 3, etc. bedroom flats, Number of 2 wheeler parking spaces, 4 wheeler parking spaces, How many shopping outlets, closed garages, Swimming pools, play ground etc. Authorized member can only associate the flat numbers in appropriate blocks and also associate the resident to the corresponding flat. 99Flats is mainly for the residents of a multi-storeyed complex called flats and gated Communities as well. It is the services that are available for any resident of any complex and the service the Resident can render from their flat residence to the World. Resident can easily guide a relative or friend with complete lane to lane directions upto the door through 99Flats.com. Resident can put up his apartment for rent or sell online as and when required. Resident can advertise their part time services, such as tuition, tailoring, crafts, etc., offered from his flat residence. Resident can easily avail the services available nearest to him such as pancard, aadhar card, passport, printing photos, xerox copying, electrician, plumber, etc. as the nearest service providers are listed. Resident can give the list of family members but also has option to display or not the family members' photo or phone number. 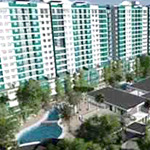 The association has the complete authority on their residential complex. The main contact person of the residential association is given the login details through which they can upload all the relevant information regarging their residential complex. There are several responsibilities that the association has to perform as it is the main authority on the residential complex. The association can list their executive members along with photos, phone numbers and email address. Authorised association member can associate a resident to the corresponding flat. Association can directly sent circulars and notices to all the residents of their residential complex. Builders have a very great platform to exhibit their achievements and capabilities with all the innovative designs that they successfully produced. Builder has a separate login and can display all the residential complexes that have been completed and are in progress. Builder can list out all the residential, commercial complexes that are the successful achievements that they can be proud of. Small businesses across the main roads or by-lanes can have their presence on the internet through 99Flats.com It can be a saloon, a beaty parlour, mechanic, a carpenter, function halls, hotels, etc., from small to big any business can be on the internet with several features for each business. Most residents do part time businesses, particularly, house-wives or college students, etc., to make some extra money for meeting extra burden. Here is the perfect platform to make use of. For example, a person is an electrician working full time from 9-5 would like to extend his expertise by serving the neighbourhood and make an additional money for his family and children. How can the neighbourhood know that this person offers this service for a very little money. Use 99Flats. Any flat owner or tenant can display his services on 99Flats.com Any vendor can simply register and advertise his services. It may be a ice-cream shop, grocery or even a pani puri vendor. Advantage for people offering PanCard, Passport, Visa, Driving, Vehicle, Life, Health insurances, Xerox, Photo Studio and many such service providers. Simple registration and giving your information. One of the most required service to most residents are transporters like auto, cab, goods carriers, movers and trucks for bringing sand, cement for constructions, etc. It would be very useful to know if any auto rickshaw is available near a particular residency in real time. The resident can immediately call the available transporter and find out if it would be possible to take the resident to the required destination or provide the appropriate servide needed. This is a great feature for both residents and the transporters as both would save time and money. Residents can find who is available nearby to transport servoce. For the transporter, it is quite beneficial as and when he goes to a new area, if he can just sms the present location into the system, his presence is reflected in real time and instead of returning empty handed might actually get a passenger right away. All the transporters are required to first register their name, phone number and vehicle type with its plate number in the system for the residents to know what service the transporter can provide. The transporter can simply sms his availability at present pincode location into the system and his presence is reflected in real time for the residents. Since the transporter is providing, and a potential passenger looking for a transporter can actually call him from his resident itself instead looking for one on the streets. 2014 Copyright@99Flats.com All Rights Reserved.